Boutique cigar lovers rejoice, the ever-popular, once-extinct Illusione eccj is back for 2015! 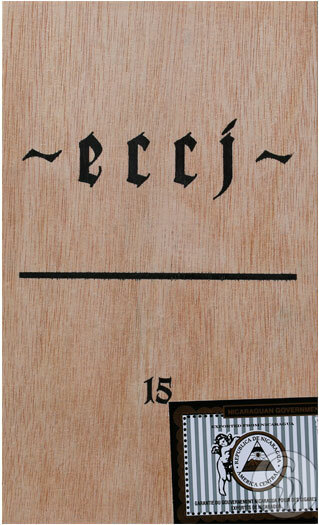 The original eccj cigar was created in honor of the European Cigar Cult Journal's 15th anniversary - which is where it derives its acronymic title. And, like its name, the cigar did indeed gain a "Cult" following. Newly released from Illusione is the updated eccj cigar - complete with a slightly tweaked blend to compliment the cigar's new 6 1/2" x 48 size. Slightly larger than the original, the new eccj is poised to bring you all the superb flavors of the original - only more of it! A Nicaraguan CafÃ© Rosado wrapper surrounds Nicaraguan fillers and binder, offering a luxurious profile of aged tobacco, pepper spice, and a butter-like creaminess. Fans of Illusione's popular Epernay line will feel right at home, with a familiar flavor profile, yet an added complexity.